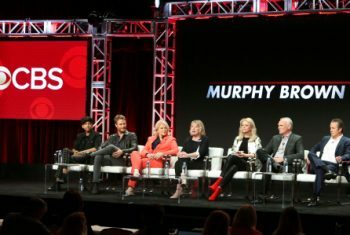 The cast of CBS's "Murphy Brown"
Beverly Hills, CA (The Hollywood Times) 9/27/18 – As the world hinges on the upheaval of Christine Blasey Ford’s testimony, one of the most prominent feminist figures of television, Murphy Brown, makes her return to network TV Thursday night. 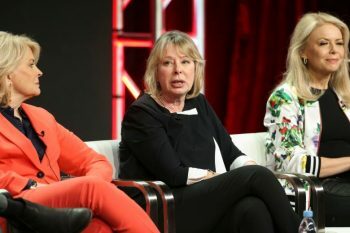 In its heyday, Murphy Brown ruffled more than a few conservative feathers as she carved a space for powerful, independent women into the landscape of mainstream entertainment. Who can forget Dan Quayle’s assertion that Murphy was “mocking the importance of fathers by bearing a child alone and calling it just another ‘lifestyle choice’”? Oh, how far we’ve come. 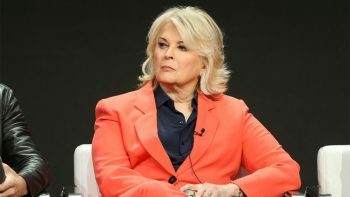 Candice Bergen, who breathed life into the empowered Brown for 10 seasons between 1988 and 1998, sat down at a Television Critics Association panel in August to discuss the eponymous feminist hero’s return to the airwaves. 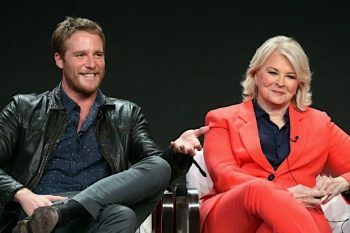 Joining her were cast members Nik Dodani, Faith Ford, Joe Regalbuto Grant Shaud,and Jake McDorman; and creator/executive producer Diane English. Bergen admitted that the journey back had been emotional, and that seeing the townhouse on the soundstage at the studio in Queens again made them all get “tears in our eyes.” “Murphy was so important to all of us, and so to be back there, we’re just grateful,” said Bergen. Indeed, much has changed since 1998—not the least of which is the age of Brown’s son, who is now being used as a foil to Brown’s liberal personality and views. “We’re older by a lot,” said Bergen. 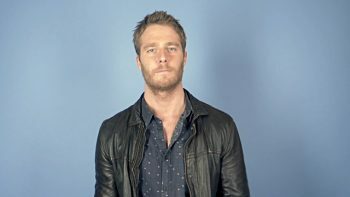 “And Murphy’s son, who you saw when he was being born on ‘Birth 101,’ is now played by Jake McDorman, and wonderfully played, and he’s also a television journalist who is working for an opposing network called The Wolf Network, FOX.” That, obviously, creates fireworks between the two characters in the reboot. Similar to the first episode of “American Horror Story: Cult,” English reveals that the opening montage begins on November 8th, 2016 and tackles the fallout for society and the nation since. The revival is, in many ways, different from its original format. But it’s still brave; still brazen; and still unapologetic. And for those reasons, “Brown” may just endure for another ten seasons. It never did, and obviously, it never will.